National Drug Prevention Alliance: The NDPA are a group of organisations and individuals who want to see more and better drug addiction prevention operating in the UK. Narconon: Drug and alcohol rehabilitation. The site provides detailed information about drugs and drug addiction. 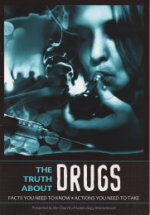 The Truth About Drugs: The straight facts about the drugs and illegal substances most frequently abused by youth and adults alike, empower the individual and enable him to make his own informed decision about drugs, their risks and the role they should or should not play in his life. Scientology: Find out more about scientology. © 2004-2007 Church of Scientology United Kingdom. All Rights Reserved.